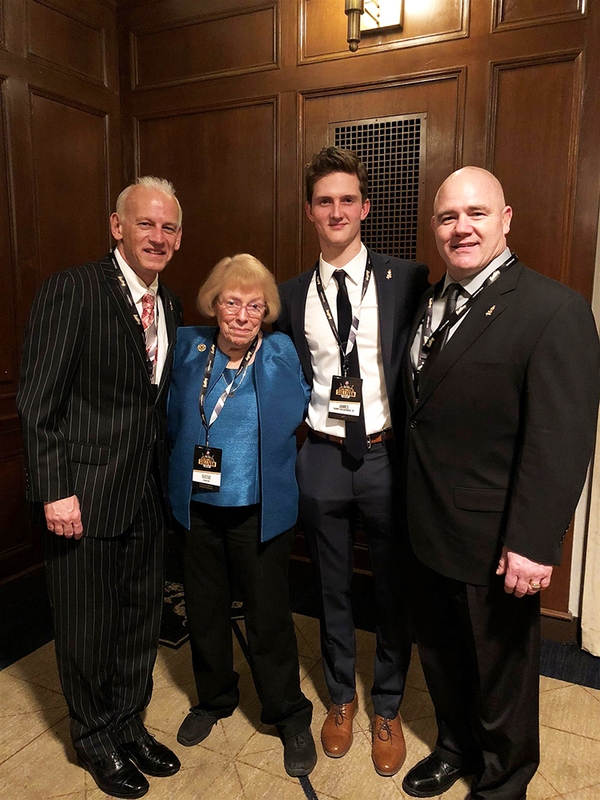 NEW YORK (April 17, 2018) - The 88th AAU James E. Sullivan Award was handed out during a ceremony at the New York Athletic Club April 17th, 2018. Kyle Snyder, USA Wrestling and Ohio State Buckeye wrestling, took home this year's honors. During the AAU Sullivan ceremony, the 2018 AAU Gussie Crawford Lifetime Achievement Award recipient was also recognized. The AAU Gussie Crawford Lifetime Achievement Award was established to honor Gussie Crawford, the first female president of AAU, as a trailblazer in amateur sports. The award is intended to recognize those athletes whose efforts, both on and off their playing surface on the national or international stage, have paved the way for great change in amateur sports. The inaugural recipient was Jesse Owens. In its second year, the award was posthumously given to legendary multi-sport athlete Jim Thorpe. Considered one of the most versatile athletes of modern sports, he won Olympic gold medals in the 1912 pentathlon and decathlon. However, he had those medals stripped after it was found he played semi-professional football for two years due to amateurism rules. In 1983, those medals were In 1983, 30 years after his death, the International Olympic Committee (IOC) restored his Olympic medals. In a taped video, Bill Thorpe, son of Jim Thorpe, talked about his legendary father and what his contributions meant to both the sport and the native american community. On hand at the New York Athletic Club to accept the award were the great-grandson and great-great grandson of Jim Thorpe. The athletic ability continued down the Thorpe line: James Thorpe Kossakowski, great-grandson wrestled at Northern Illinois University from 1989-2003 and was an AAU Wrestling National Champion Freestyle & Greco. Great-great-grandson James Thorpe Kossakowski Jr will attend Southern New Hampshire University in the fall of 2018 to study mechanical engineering and will compete for SNHU Men’s Ice Hockey team as a goaltender.